The modern day cricket rules that there can be no more than two fielders allowed behind the square on the leg side. But how did such a rule come to exist? To find the answer, we will have to rewind back to the 1932-33 Ashes Series where Australians were hosting the English men. The series was controversial, and as many doubted whether the tour would be completed or not, it even threatened Political relations between the Great Britain and Australia. In the end, the series was eventually completed but the bitterness developed during the series still continues to date. Arguably the greatest ever batsman produced by Australia, Don Bradman was taking part in the 1932-33 Ashes Series and the English bowlers had to find a way to stop the Australian from running away with the game. That is when the term ‘Bodyline’ emerged on the cricketing scene. Back then, there were no restrictions on the number of players positioned on the leg-side and the English bowlers had decided to make the most of the situation by placing most of their fielders on the leg-side and bowling directly on the body of the batsmen, cramping them for room and forcing them to play on the leg-side. This was planned to make run-scoring difficult for the batsmen as they would have no choice but to hit the ball towards the fielder in the hope of making runs. Though this theory was not new, it was less practiced until the 1932 Ashes Series. The advantage that England possessed was that they had fast and accurate bowlers who could bowl continuously towards the batsman’s body. The ‘Bodyline’ was thought to be executed after few players had noticed at how Bradman was uncomfortable when the ball was bowled towards his body and though it was mainly a plan for Bradman, it greatly troubled the other Australian batsmen as well. 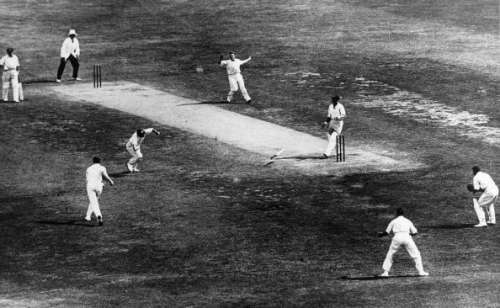 England had won the First Test match by 10 wickets and they had done it so without using the ‘Bodyline’ technique, mainly due to the absence of Bradman from the team as he was going through trouble with the Australian Board. Soon after that was resolved, ‘The Don’ returned to the team for the Second Test and scored a century in the second innings after getting out on a duck in the first. Australia had won the Second Test match due to a special knock from Bradman and levelled the series 1-1. The problems began at Adelaide when English bowler Larwood hit Bill Woodfull above the heart and Bert Oldfield later on the head, resulting in a fracture. Wisden said, “probably the most unpleasant Test ever played ... altogether the whole atmosphere was a disgrace to cricket", as quoted by Cricinfo. ‘Bodyline’ created some fierce issues between the two boards as the tactic would mean that the batsmen would only be worried about protecting their bodies, losing the spirit of the game. The ACB knew the risks of cancelling the series would result in some financial complications and had no choice but to continue the series. The matter, however, was later discussed in London and the issue was taken seriously by both Governments. England had won the Adelaide Test by 339 runs and also winning the Fourth Test at Brisbane by 6 wickets. The Three Lions regained the Ashes Series as they also won the Final Test at Sydney. Larwood ended the series with 33 wickets in 31 matches at an average of 19.51. 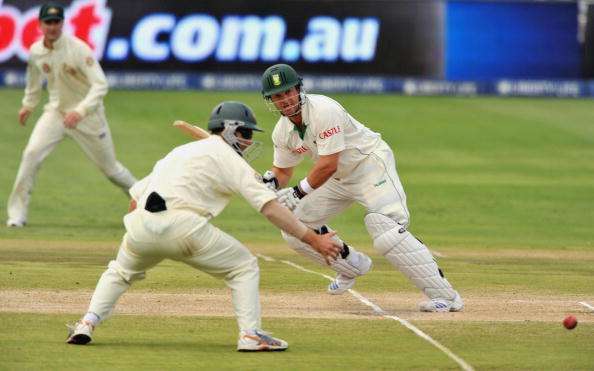 After the series, MCC had taken note of the tactic employed by the English bowlers. And it was only during the following Summer in England (when the West Indies bowlers employed the Bodyline technique) that a decision was made by the MCC stating, "any form of bowling which is obviously a direct attack by the bowler upon the batsman would be an offence against the spirit of the game" as quoted by Cricinfo. This rule was accepted by all the county captains. MCC had later ruled that only two players would be allowed to field behind the square on the leg-side, making ‘Bodyline’ a myth.